He gave me some old Carp World Magazines and this hooked me instantly. 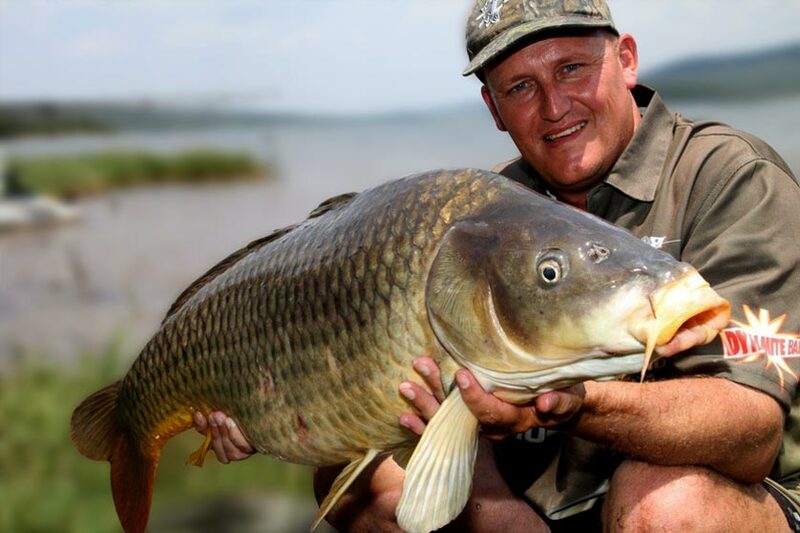 Welcome to 'In the Spotlight' where we ask some of South Africa's most influential anglers how it all started, what they do and how they do it. We would like to thank the man himself, Gilbert Foxcroft, our first in line for his contribution. 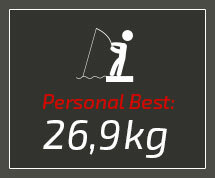 Thank you, and plenty tight lines! Free running lead system with blow-back rig and a critically balanced tiger nut. Slightly overcast with light drizzle. I like a trickle feed approach on a fairly tight baited area with two rods fished inside the feed and the two outer rods just off it. I prefer fishing to some feature such as trees, reeds or bars. 4.5oz, as I also prefer casting to my baited area. Mono for casting and braid for fishing way beyond casting range. Trees. Fish do like trees a lot and use it to relieve itches from parasites etc. Trees also harbour natural foods and I have had wonderful memories fishing to such features. 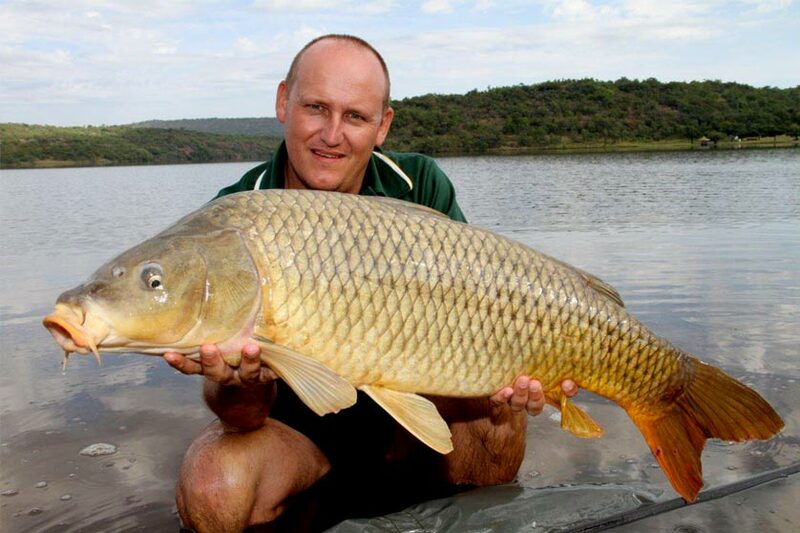 If you had the option of only one bait to fish with for the rest of your life, what would it be, and why? Two tiger nuts with a small piece of cork inside to critically balance it. 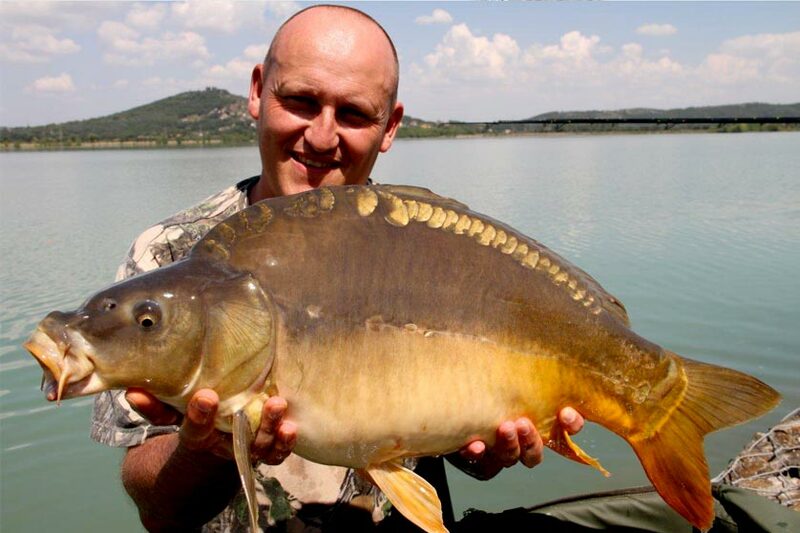 I had fish everywhere in the world on this bait, from Donaldson Top Dam in the 1990’s to France, England, Romania, Italy, Doorndraai Dam, Tzaneen Dam, Klasierie, Bloemhof, Hartebeespoort Dam, Roodekoppies etc. Need I say more? Would you rather be rich but never fish again or poor and fish when you want? We all forget some of our gear at home from time to time, so what will you prefer to rather fish without, your bed chair or your shelter? Planning is part of the trip, but the worst thing I have ever forgotten at home was the keys for my trailer. Nowadays I have a list which is ticked off before I depart. Please tell us of your most memorable catch? Catching 2 x 50lb fish and 2 x 30lb fish in two nights. I arrived at my chosen spot on the Friday afternoon in May and set up camp, got some boilies out to a gravel bar at 105m range and cast my rigs to where I was happy with them. I went out with my canoe to the area where I had my marker float popped up and fed a scattering of whole and chopped tiger nuts. Just after 20h00 Friday night I caught a 50lb12oz mirror named 'The 20' and 03h30 I caught a 37lb12oz mirror (un-named). Saturday night just after 20h00 I caught a 51lb10oz common called 'Bulldozer' and just after 03h00 I caught a 38lb10oz common (un-named). It was like a perfect repeat two nights in a row. 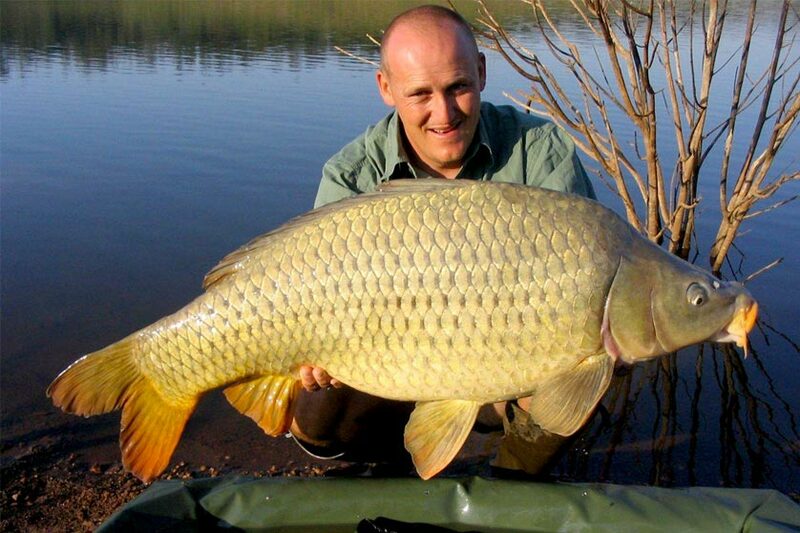 Where did your interest in angling start and at what stage of your life did you decide to hunt for big carp? 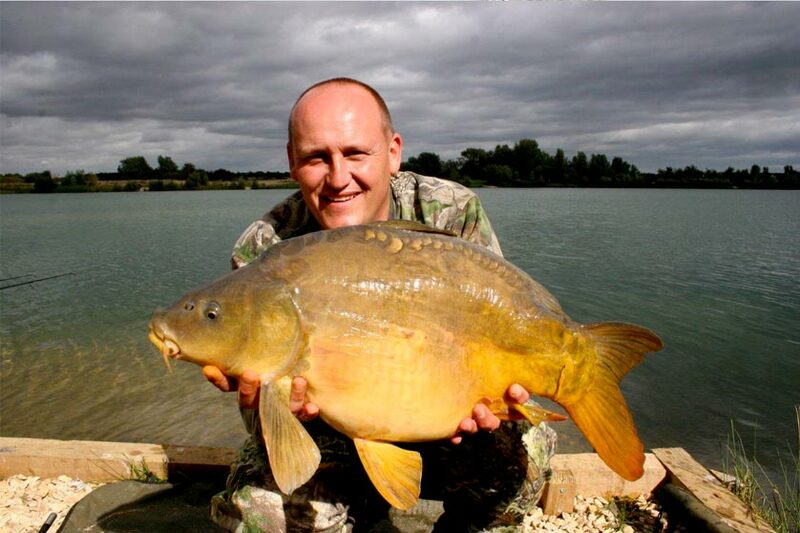 I fished from the age of six, but in 1991 I met an old man Peter Bryant who used to be the bailiff at the world renowned Wraysbury Lake complex in England. He gave me some old Carp World Magazines and this hooked me instantly. Sadly he is not with us anymore. I am busy completing a comprehensive carp fishing guide with Rapala VMC which I trust will be extremely helpful on every aspect of carp fishing.